Note: This Life Amendment effort was initiated and inspired by Dr. Don Smith, author of the primary resources we offer here. Dr. Donald S. Smith, who was 94 years old, went to be with the Lord on January 30, 2019. He has been a Christian action advocate for almost 50 years, with special concern for America’s abortion crisis. In 1970, he founded Crusade for Life, now one of the oldest pro-life groups in America. His Christian action efforts have resulted in several pro-life films, including Conceived in Liberty, Your Crisis Pregnancy, and The Right to Kill, a film on euthanasia. In a major contribution to the pro-life cause, Don produced the film titled Silent Scream, which featured ultrasound images of an actual suction abortion. The narrator for the film was Dr. Bernard N. Nathanson, the manager of the world’s largest abortion clinic, in New York City. Dr. Nathanson became a pro-life advocate after studying a suction abortion presented on an ultrasound screen. This film was broadcast to the American public in a Presidential White House press conference on Lincoln’s birthday in 1985. President Reagan suggested sending a copy to every member of Congress, which Crusade for Life accomplished. Including translations in many languages, Silent Scream has become the most viewed pro-life film in the world. In addition, Dr. Smith originated the concept of the Presidential Proclamation of Personhood. Similar to Lincoln’s Emancipation Proclamation, the Proclamation of Personhood asserts that the pre-born child is a person from the single-cell stage forward. This new cell contains the critical component, DNA, identifying a unique human being. In 1988, President Ronald Reagan signed such a proclamation. 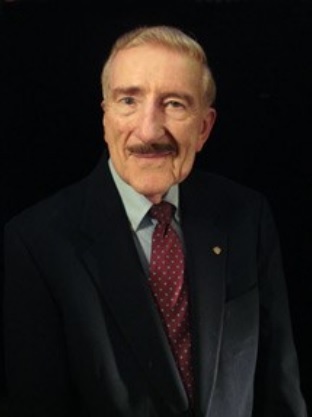 Don graduated from the University of Chicago with degrees in philosophy and the physical sciences. Based on his Christian action accomplishments, in 1999, Biola University awarded him an honorary Doctor of Laws degree. He wrote two books. One a novel, INNOCENT BLOOD, was written to aid in re-establishing the “unalienable right to life” guaranteed by the Declaration of Independence, and the legal protection of life, guaranteed by the Constitution of the United States of America. The other book (completed just before his death), The Power of Jesus Christ, is dedicated to pastors to encourage their members to take a more active role in fighting against the immoral condition of the country especially abortion. For the last four years he has been deeply involved with the establishment of a constitutional Life Amendment (LifeAmendment.org) which will protect unborn human life from the single cell stage. Such an amendment will end abortion in America forever. His wife, Virginia of 55 years preceded him in death. His daughter Rebecca died last year. He is survived by 6 of his 7 children, Allen, Philip, Marcie, Andy, Pam, and Claudia and 18 grandchildren. For a special donation in Don’s memory, make out the check to Crusade for Life, memo line Life Amendment. Send to: Crusade for Life, 18030 Brookhurst PMB 372, Fountain Valley, CA 92708, www.crusadeforlife.org.